Aroon is a technical indicator that is used for identifying trends and the likelihood that the trends will reverse. It was developed by Tushar Chande. The indicator displays, as a percentage of total time, how long it takes for price to reach its high and low. The indicator displays two lines: “Aroon up,” which measures the strength of the uptrend, and “Aroon down,” which measures the strength of the downtrend. 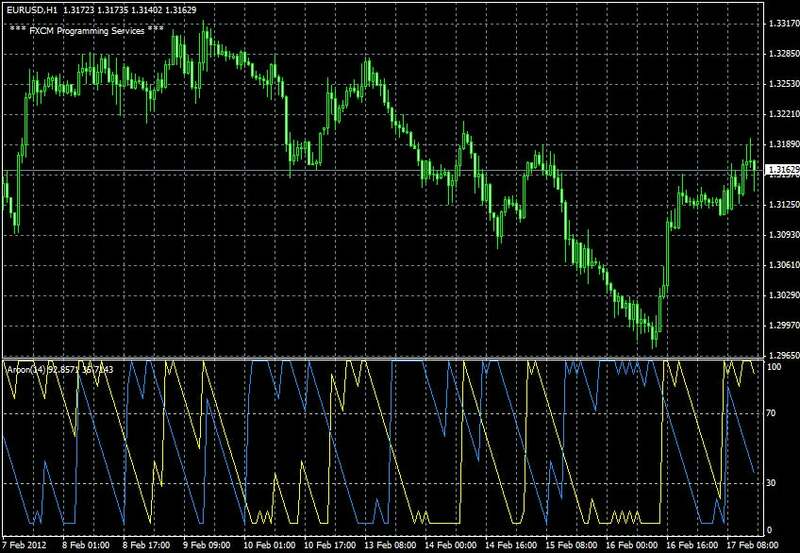 The Trend Identifier indicator is a charting indicator that displays the trend based on the Aroon Indicator. Both lines fluctuate between values of zero and 100, with values near zero representing a weak trend and values near 100 representing a strong trend.